The following quick post is really just a bit of fun, designed to look briefly at the potential evidence for a spreading awareness of Britain's existence outside of Northwestern/Atlantic Europe in the period through until the fourteenth century AD (just before the 'Age of Discovery'). The map below plots some of the possible evidence for such an awareness, both in terms of the earliest literary and cartographic references to Britain (in black) and some potential literary and archaeological evidence for the physical presence of people from Britain in those areas (in red). Map showing some of the earliest literary and cartographic references to Britain (in black) and potential evidence for the physical presence of people from Britain in areas outside of Northwestern/Atlantic Europe (in red). Image: C. R. Green, using a base map from Wikimedia Commons. 600 BC Marseille and the Greeks. The earliest literary evidence for a wider awareness of Britain is usually thought to be an early Greek periplooi of perhaps around 600 BC that described the coast from Massalia—Marseille—to the English Channel. This 'Massaliote Periplus' seems to have mentioned the lands of the Hierni and Albiones (Ireland and Britain) and was preserved, via an intervening lost Hellenistic geographical work, in Avienus' fourth-century AD Ora maritima. How much earlier an awareness of Britain may have existed in the northern Mediterranean is impossible to say, but there are certainly items of Mediterranean origin known from Bronze Age Britain, such as a Sicilian strumento of c. 1200–1100 BC that was found on the sea-floor at Salcombe, Devon, along with other Bronze Age items from a probable twelfth-century BC shipwreck. 500 BC Carthage and the Phoenicians. The earliest textual evidence for a Carthaginian/Phoenician awareness of Britain relates to Himilco's voyage north from the Pillars of Herakles (Straits of Gibraltar) in around 500 BC, which is believed to have led to him visiting both Britain and Ireland. A record of Himilco's voyage is once again preserved in Rufus Festus Avienus' Ora maritima, who ascribes his knowledge of it to ancient Punic sources, and it is also very briefly mentioned in Pliny's Natural History (2.169). 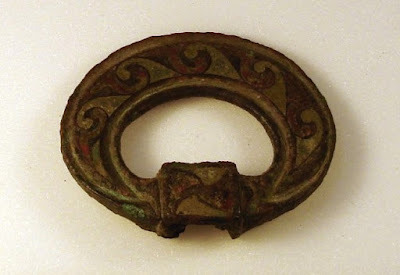 A variety of archaeological and place-name evidence is now available to support the idea of a degree of contact between pre-Roman Britain and the Carthaginians, as has been discussed in a number of earlier posts. How much earlier than c. 500 BC there was a Carthaginian/Phoenician awareness of Britain is open to question, but it is worth noting that several people buried in the ninth century BC on the Kent coast have oxygen isotope results strongly indicative of an early life spent in North Africa. 430–300 BC Greece and the eastern Mediterranean. 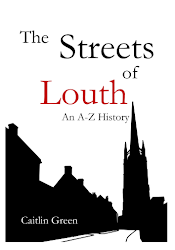 Whilst a knowledge of the existence of Britain may well have spread to Greeks in the eastern Mediterranean from an early date, the first textual evidence for this comes from the late fifth or fourth centuries BC. The earliest potential witness is found in Herodotus of Halicarnassus' reference to the Kassiterides ('Tin Islands') in the far west of Europe in around 430 BC, assuming that this name does indeed refer to the Scilly Isles/Cornwall, as D. W. Roller has most recently suggested. Alternatively, Pytheas of Massalia's (Marseille) first-hand account of his late fourth-century BC voyage to Britain was probably circulating in the eastern Mediterranean soon after its completion, as it is mentioned by both Timaeus (b. c. 350 BC), who wrote his Histories in Athens, and Dicaearchus of Messana (d. c. 285 BC), who similarly lived and wrote in Greece. A British enamelled terret ring from a horse harness, found at Fayum—ancient Crocodilopolis/Arsinoë—in Egypt (image: British Museum). 245 BC Alexandria, Egypt. 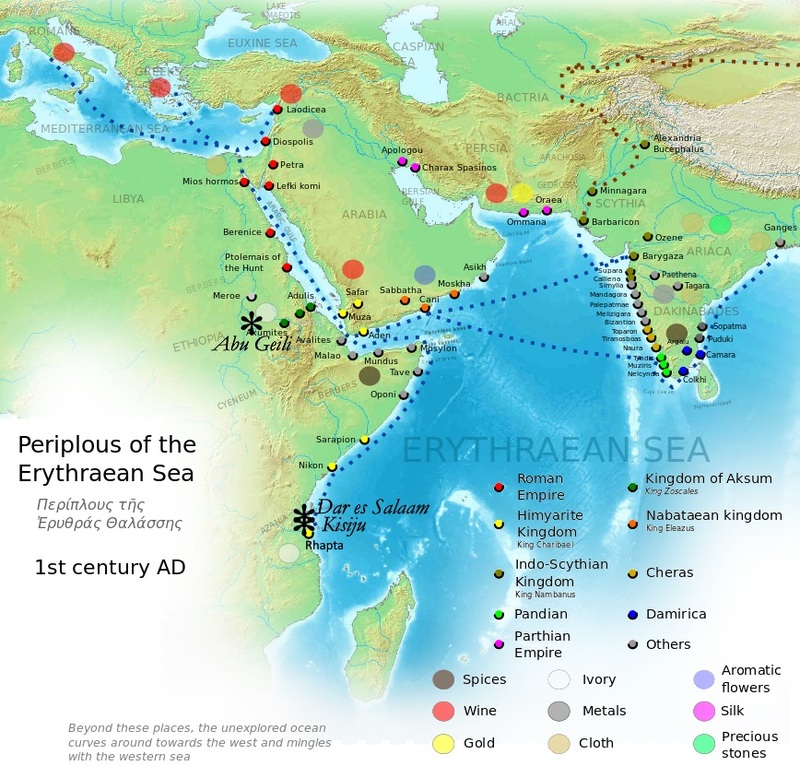 The late fourth-century BC voyage of Pytheas of Massalia to Britain and beyond was apparently mentioned by Eratosthenes of Cyrene, a librarian at the Library of Alexandria, in his Geographika, published in c. 245 BC or after. 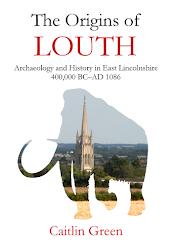 As to whether there was any independent or earlier knowledge of Britain in Egypt, this is open to debate, but it is worth noting that one of the people buried on the coast of Kent in the ninth century BC and another buried there in the fourth century BC had oxygen isotope results that strongly suggest a childhood spent in the Nile Valley. Later evidence for a continuing awareness of Britain and/or presence of people from Britain in Egypt include a find of a British enamelled terret ring from a horse harness at Fayum, Egypt, thought likely to have been carried to Egypt by someone who served in a military unit in Britain during the second century AD; a Byzantine record of a seventh-century maritime journey from Alexandria to Britain and back (see below under 550 AD); and Benjamin de Tudela's medieval notice of the existence of a funduq or commercial inn for English merchants at Alexandria in the mid-twelfth century. 134 AD Syria. Titus Quintius Petrullus, a centurion from Britain, was buried at Bosra, southern Syria, sometime in the second century AD; he was probably posted here during the reign of Hadrian as a result of the Jewish War of 134 AD. It is likely that there was an awareness of Britain in the region of Syria well before this, given its pre-Roman Phoenician and Greek connections; certainly, Malcolm Todd has followed Milne and Goodchild in believing that Syrian/eastern Mediterranean merchants could well have occasionally visited and directly traded with pre-Roman Britain on the basis of a significant number of Seleucid and other eastern Mediterranean Greek autonomous coins found along the south coast of Britain. 175 AD Morocco. A centurion named Aurelius Nectoreca was based in Morocco in reign of Commodus (161-92 AD) and dedicated two altars there; he was a centurion in the vexillatio Brittonum stationed in Volubilis in Mauretania Tingitana, and both this posting and his name suggest that he was, in fact, a Briton. It is also worth noting that two very worn Flavian-era Romano-British brooches have been found at or close to the Roman cities of Volubilis and Thamusida in Morocco, as discussed in a previous post. Likewise of potential interest is the memorial set up to Titus Flavius Virilis by his wife Lollia Bodicca at Lambaesis, Algeria, in c. 200 AD, given that one or both of them are likely to have been British in origin. With regard to the possibility of earlier contacts between this area and Britain, we should note both the potential Punic links discussed above—under c. 500 BC—and the finds of second-century BC coins of the great Numidian kings Masinissa (202–148 BC) and Micipsa (148–118 BC) that have been made along the southern and western coasts of Britain, especially as the latter are now usually considered to be genuine pre-Roman losses in Britain. Map of the Roman-era Periplus of the Erythraean Sea showing trade-routes down the African coast and across the Indian Ocean; the locations producing Anglo-Saxon-style beads are marked with stars and the location of the Tanzanian port of Rhapta has been updated from the original map as per Chami, 1994 and recent discoveries off the Tanzanian coast; for a larger version of this map, click here (image: C. R. Green, modified from a map on Wikimedia Commons by George Tsiagalakis, CC-BY-SA-4). 550 AD? Tanzania? A small number of beads have been found on the East African coast at Dar es Salaam and Kisiju, Tanzania, which have been considered to be early Anglo-Saxon in origin by a number of researchers, including Richard Hodges and Barbara Green, as was discussed in a previous post. Given their likely origin, their rarity within their local context, and their findspots on the coast in an area that had known trading links to the Mediterranean, it has been suggested by Joan Harding that that these beads could have been personal possessions carried by a small number of individuals from Europe, perhaps travelling back along the trade routes that brought elephant ivory, cowrie shells, garnets and other goods from the Red Sea and beyond to fifth- to seventh-century England, although this suggestion does need to be treated with a sensible degree of caution. In this context, it is perhaps worth noting that there is certainly evidence for the presence of people from the England in the Mediterranean region, at least, during the sixth century AD and shortly after, which may be relevant, including as part of a Frankish delegation to Constantinople in the mid-sixth century and as slaves at Rome and Marseille in the later sixth century, whilst an Anglo-Saxon merchant named Botto was definitely based at Marseille during the eighth century AD (Annales Petaviani, s.a. 790). Likewise of potential interest is an increasing body of textual, archaeological and isotope evidence for the presence of people from North Africa and the eastern Mediterranean in fifth- to seventh-century Britain, including a reference in the seventh-century Life of St John the Almsgiver to a ship from Alexandria, Egypt, visiting Britain in around 610–20 AD and exchanging a cargo of corn for one of tin. 817 AD Baghdad, Iraq. Britain and Ireland are mentioned by Muhammad ibn Musa al-Khwarizmi, a Persian scholar working in Baghdad, in his Kitāb Ṣūrat al-Arḍ or Geography (a reworking and updating of Ptolemy's second-century Geography). According to D. M. Dunlop, this work was completed in around 817 AD and represents the earliest Arabic reference to Britain, with places mentioned including the island itself, London and York. 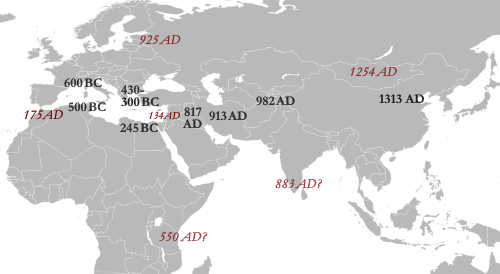 883 AD? India? According to the Anglo-Saxon Chronicle entry for 883 AD, King Alfred sent Sigehelm and Æthelstan with alms to the shrines of 'St Thomas in Indea [India] and to St Bartholomew', fulfilling a promise made 'when they besieged the raiding-army at London' (MSS D, E & F; also mentioned by William of Malmesbury and other later authors). This passage has, needless to say, been the subject of considerable interest. Some, following MSS B & C, have suggested that we might see the dominant form of India as a mistranscription of Judea. However, whilst possible, this is by no means certain nor is it the most common interpretation, and St Thomas and St Bartholomew were indeed commonly believed to have been martyred in India in tales that were current in Anglo-Saxon England, as the ninth-century Old English Martyrology attests. As such, the claimed visit to India by Alfred's men is cautiously included here. The Anglo-Saxon Chronicle entry for 883 AD in MS F, Cotton MS Domitian A VIII, f. 55v, which refers to Alfred sending alms to the St Thomas and St Bartholomew in India (image: British Library). 913 AD Persia. Ibn Rustah, a Persian scholar and geographer from Isfahan, Iran, includes a detailed passage on Britain in his early tenth-century Arabic Book of Precious Records. This passage was discussed at length in a previous post and arguably demonstrates a knowledge of the Anglo-Saxon 'heptarchy', early Byzantine contacts with Britain, and the Anglo-Saxon trading city of Lundenwic (London). Ibn Rustah's information on these matters derived ultimately from Harun ibn Yahya, a Syrian who was probably captured at Ascalon (Ashkelon, Israel) sometime around AD 886 by Byzantine pirates and was then kept prisoner at Constantinople for a period, before being released and subsequently travelling to Rome. 925 AD Novgorod, Russia. A Late Saxon strap-end has been excavated from an early to mid-tenth-century level at Riurikovo Gorodishche, near Novgorod, Russia which is virtually identical to examples from Whitby Abbey and is considered by Jonathan Shepard to be indicative of the presence of an Anglo-Saxon individual travelling along 'the Way from the Varangians to the Greeks' either to or from Constantinople. 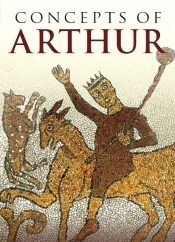 Certainly, there is textual evidence for the presence of people from the Byzantine Empire in tenth- and eleventh-century England, backed up by finds of coins and seals, and some of these may well have travelled by this route, whilst in the eleventh century several English royal exiles are known to have found their way to the royal court of the Rus', including the sons of King Edmund Ironside (d. 1016) and Harold Godwinson's daughter Gytha of Wessex. 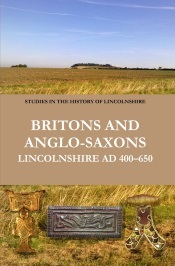 Other early evidence for the probable presence of people from Britain in what is now Russia includes the textual and place-name evidence for Anglo-Saxon exiles from Norman England having founded a 'New England' on the north-eastern Black Sea coast and Crimean peninsula at the end of the eleventh century; as was discussed in a previous post, this Nova Anglia potentially survived as late as the thirteenth or fourteenth century and the associated names continued to appear on maps of the region well into the eighteenth century. 982 AD Afghanistan. The late tenth-century Persian Hudud al-'Alam, 'The Regions of the World', was written in 982 AD for a prince in north-western Afghanistan. In addition to a general statement that 'there are twelve islands called Briṭāniya, of which some are cultivated and some desolate. 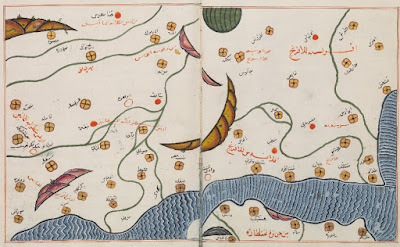 On them are found numerous mountains, rivers, villages, and different mines', the author of the Hudud al-'Alam also notes that Britannia (Bariṭīniya) is 'the last land (shahr) of Rūm on the coast of the Ocean. It is an emporium (bārgāh) of Rūm and Spain.' This text was discussed in a previous post and is mainly derivative of earlier Arabic works; however, the statement that Britain is an emporium of the Byzantine Empire (Rūm) and Spain is found nowhere else, suggesting that the author possessed additional sources of information now lost to us. 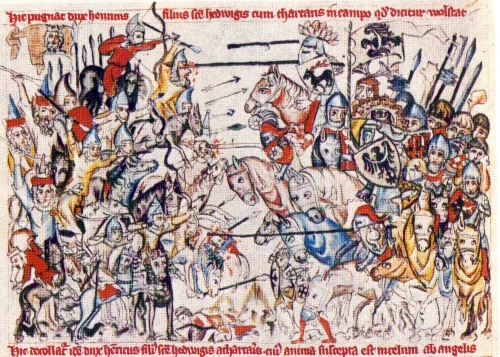 A mid-fourteenth-century depiction of the Battle of Legnica, 1241, fought between the Mongols and European knights in Poland (image: Wikimedia Commons). had twice come as an envoy and interpreter from the king of Tattars to the king of Hungary, and plainly threatened and warned them of the evils which afterwards happened, unless he should give up himself and his kingdom to be subject to the Tattars. This English envoy of the Mongols (Tatars/'Tartars') was apparently an exile from England who had lost all he owned to gambling at Acre, Israel, and then wandered 'in a shameful state of want' further east into modern Iraq and beyond before the Mongols persuaded him to join them due to his apparent skill with languages, at which point he then travelled with them until he was finally captured in Austria. Given that he had clearly travelled huge distances with the Mongols and most especially his role as envoy and interpreter for the Great Khan of the Mongol Empire, it seems likely that he was an earlier English visitor than Basil to the Mongol capital of Karakorum, Mongolia, although no positive proof of this is currently available. In addition to individual English people who were living amongst the Mongols on their own account or as slaves, there were also direct diplomatic contacts between the Mongol rulers and the English during the thirteenth century that are of note in terms of demonstrating a Mongol awareness of England, although much of this evidence admittedly relates to the Mongol Ilkhanate that stretched from Iraq to northern Afghanistan. Of especial note here, perhaps, is the potential evidence for unidentified Mongol envoys ('Tartars') actually crossing the Channel to visit England in 1264, much to the apparent disgruntlement of the papal legate Guy Foulques—the future Pope Clement IV—who was left waiting in Boulogne for his own authorisation to cross! Likewise, in 1287–8 the Turkic/Chinese Christian monk and diplomat Rabban Sauma, originally from Beijing, China, visited Europe as an emissary of the Mongol Ilkhanate and met with King Edward I of England in Gascony, and yet another Mongol envoy named Buscarello de Ghizolfi—a Genoese adventurer who had settled in Persia—visited London in January 1290, accompanied by three squires who were probably Mongols. As to envoys dispatched in the opposite direction, the regime at Acre sent the English Dominican friar David of Ashby eastwards in 1260 (he returned in 1274, accompanying the Mongol embassy that attended the Second Council of Lyon in that year) and King Edward I sent Geoffrey of Langley with Buscarello de Ghizolfi to the Mongol Ilkhanate capital of Tabriz, Iran on a diplomatic mission in 1291. 1313 AD Beijing, China. The date given here is that of a spring visit to England by an ambassador of 'the emperor of the Tartars', as described in the royal household records for Edward II. Jacques Paviot suggests that this Mongol envoy may have actually been representing the Great Khan in China, rather than the Middle Eastern Mongol il-khan, something supported by the fact that he was one William of Villeneuve (note, the Mongol Empire had included parts of northern China since the first half of the thirteenth century and had subsequently given rise to the Yuan Dynasty of China, 1271–1368, founded by the Mongol ruler Kublai Khan). This Franciscan missionary was one of seven suffragan bishops consecrated by Pope Clement V in 1307 to serve in the newly created archdiocese of Beijing, China (Khanbaliq), at the request of John of Montecorvino, the founder of the Chinese mission in the late thirteenth century. William is usually assumed to have made it to India but not to have carried on to China with the others, as he is said to be next recorded at Avignon, France, in 1318, but this seems not to take account of the English record of his activities, which indicates that he actually returned to Europe as a Mongol envoy in 1313, hence Jacques Paviot's suggestion. In this light, it is worth noting that Edward II also sent letters to several eastern rulers including the emperor of China in May 1313, and that he mentions and commends William of Villeneuve in these, something that might add further weight to the notion that William returned to Europe in 1313 as an envoy of the Great Khan in China and which is, in any case, an event that is of interest in its own right in terms of potentially securely demonstrating an awareness of England's existence in Beijing. As to whether there was any earlier awareness of Britain and/or of people from the British Isles in China, this seems plausible. Not only had the Mongol Empire—which clearly had direct diplomatic relations with England and at least some contact with individual English people, as noted above—controlled parts of China from the earlier thirteenth century onwards and all of China from the 1270s, but the establishment of the Mongol Yuan dynasty in China also seems to have led to Islamic geographical knowledge becoming available there (as witnessed by, for example, the lost early fourteenth-century Chinese map of Li Zemin and the derivative but surviving fifteenth-century Korean Kangnido map, which includes fairly detailed representations of Europe, Africa and the Middle East along with Chinese transcriptions of Persianized Arabic place-names for those regions). Needless to say, Britain was certainly known to Islamic geographers from the ninth-century AD onwards, as was noted above, just as it was too to the Christian missionaries who were present in China from 1294 until 1368, another potential additional conduit for an earlier awareness of Britain's existence. Whether there was any knowledge of the British Isles and/or individuals from them significantly earlier than this—in, say, the Roman and early Byzantine eras when there was a notable degree of contact between the Roman and Chinese empires—is impossible to say. However, there are certainly some possible burials of East Asian individuals known from Roman London which are potentially intriguing in this light. 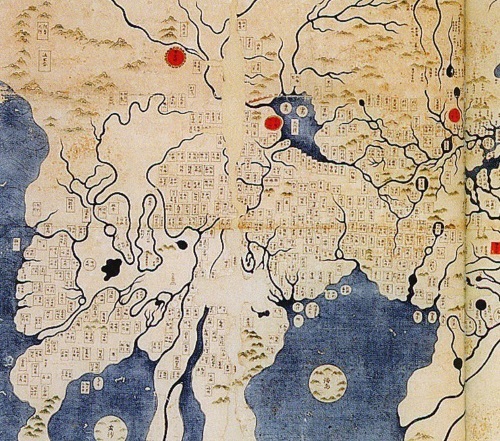 Europe, North Africa (with a large central lake/sea) and the Middle East on the Honkōji copy of the Korean Kangnido map of 1402; 100 Chinese transcriptions of Persianized Arabic place-names are shown in Europe; note, the Mediterranean is not shaded on this map due to an error by a copyist at some point (image: Wikimedia Commons).